How Good Are Joe Schmidt’s Ireland Really? Doomsday? Only if you’re surprised. It wasn’t a disastrous performance, instead a welcome reality check for everyone. I’d hate to say “hate to say I told you so”, but this has been coming. Even despite the defeat to Scotland, this Irish team had an invincibility in the media and among supporter’s conversations. For this week at least, “in Joe we trust” seems to have gone out the window, but people have short memories and blind faith would shortly return with a win against England. Where does the great expectation for overrated Ireland come from? That’s a 50% win ratio, including the victory against Canada. A funnily poor statistic when you consider that there has been more documentaries than tough questions presented to Ireland over the past year or so. The seemingly untouchable respect that Joe Schmidt earned himself from the fantastic job that he did at Leinster has bought his team a positive relationship with the critics. Celebrating one win against the worst South African team of all time and ignoring that Schmidt’s men ultimately lost the series is the perfect example of the agenda we’re following here. As ever, that win (rather than series loss) was backed up by a splendid November Series performance. As great as those games tend to be, they don’t show an accurate representation of where the northern hemisphere sides really are. Reason being, their opponents are off the back of 9 consecutive months of rugby, starting their Super Rugby seasons in mid-February all the way through to August, then followed by the Rugby Championship – surely if not very fatigued, their end of year tour is an afterthought anyway? Difficult to admit, but harder to argue with. There’s raw results and there’s the tactics. Schmidt gets his plaudits by programming his players with a major focus on retaining possession. All well and good, but if creativity isn’t encouraged with that possession then you’re looking down a blind alley. No risks are being taken with Joe Schmidt and it’s costing Ireland. The team are being backed to grind out results with penalty kicks and tries from set-pieces but it doesn’t take an expert to see that it’s a flawed approach. 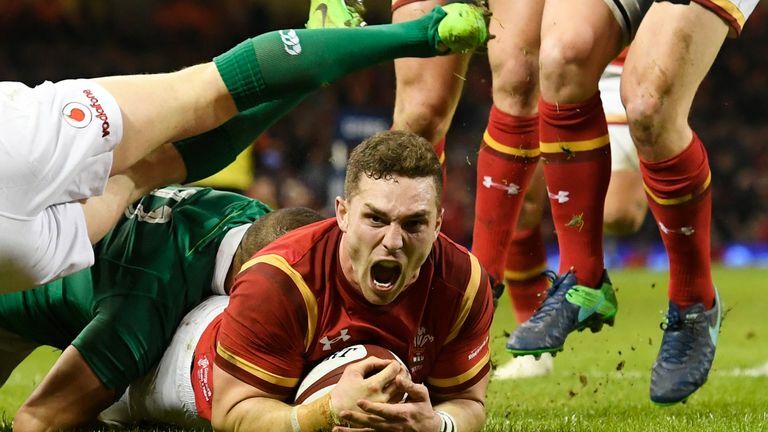 Regardless of how strong your defence is, or how little you cough up possession, when you get to the World Cup knockouts, the opposition will score tries. Argentina obliterated Ireland in 2015, and New Zealand or Australia would do the same thing if the World Cup was in the morning. The southern hemisphere mindset is all about outscoring the opposition and they would certainly be under little threat from Ireland’s bluntest of attacks. Worsening matters further though is how the Irish defence has in fact gone backwards since the Argentina quarterfinal. Since Andy Farrell’s appointment, Ireland have conceded an average of 2.1 tries a game. Many of these coming in the same wide channels that would be exposed to our detriment against Los Pumas. Full team or not, this is an outstanding issue. Seemingly can’t score tries or prevent them. Considering the players at Joe Schmidt’s disposal I would expect Ireland to be up with England fighting for the Six Nations title and reaching the World Cup semi-finals. That hasn’t quite happened – with selection being a significant downfall for the head coach since day one. Even when Ireland won back-to-back Six Nations, there was not the slightest hint of a side that could mix it with best at the World Cup. The attack was more negative then than it is now (see Dave Kearney and Fergus McFadden chasing box kicks for more). The reason why Ireland have only started to struggle recently is simply because their European rivals have come on tenfold in the passing time. Ireland, in my opinion, have been stagnant. With England looming this weekend, Ireland will either be embarrassed by following their usual ‘system’, or opt for a quick-fix. I won’t be holding my breath for Joe Schmidt to make changes but if he wants to play a narrow game-plan then you surely need aggression and steel to make a statement. 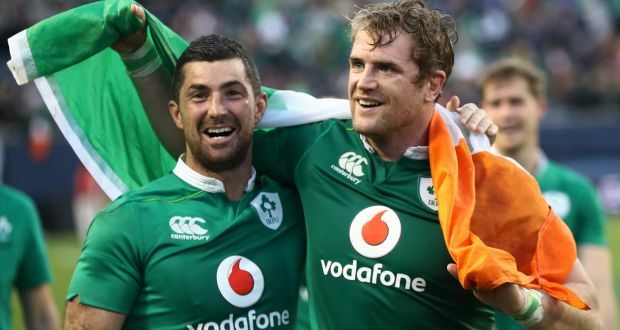 Sure, you will argue Jamie Heaslip has some lovely touches in games but he doesn’t bring a doggedness that’s required to dominate opposition if we’re to admit defeat in playing expansive rugby (note: Fergus McFadden was added to the group this morning), with the squad that Joe has chosen. Bring in O’Mahony. In fact, build around guys like McGrath, Furlong, Ryan and particularly O’Mahony. If Ireland aren’t going to be forcing opposition into answering questions of their attack, they’ve got to be a nightmare to play against. Selecting the softly spoken Rory Best as captain sends out the wrong message straight away, great player or not. They say you can’t win matches with heart alone anymore. It’s true. But you can’t win without your fair share of it either. Where do we go from here? Well most us are saying that Joe Schmidt is the greatest coach in the world and will continue to be so if he changes his ways. Trouble is, we’ve been waiting since 2014. SURVEY RESULTS: Would you like to return to club rugby after schools commitments?